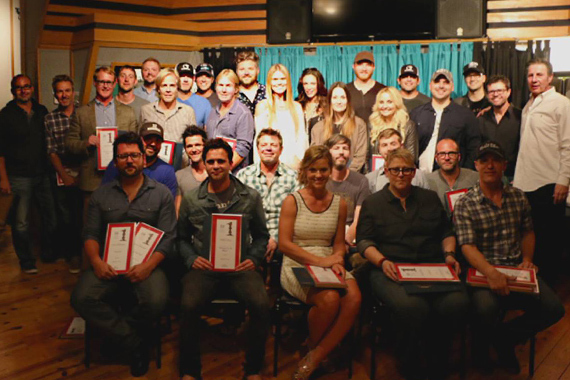 The NSAI #1 Party was held on Monday, Sept. 15 at the organization’s Music Mill headquarters, presenting No. 1 plaques to the writers of songs reaching the top chart spot between February and July 2014 (full list below). 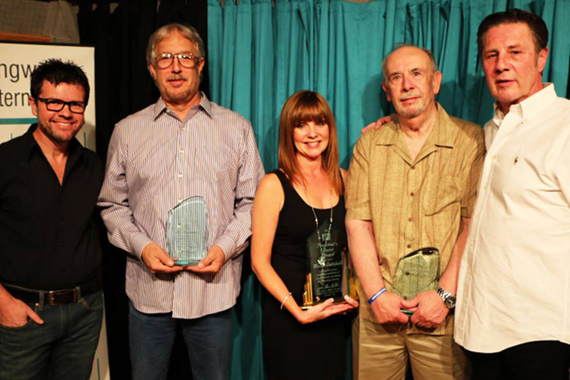 Additional honors included the NSAI President’s Choice Award, selected by Lee Thomas Miller, for guitarist/producer Jerry Kennedy for contributions to the betterment of all songwriters. The Maggie Cavender Award, voted by the NSAI Board of Directors, was presented to Eileen Littlefield in recognition of her late husband, Merlin Littlefield for service to the songwriting community. The Stephen Foster Award, chosen by NSAI Executive Director Bart Herbison, was presented to Douglas Corner co-owner and producer, Mervin Louque, in recognition of generous support and dedication to songwriters. The organization will present additional nods for Best Song, Songwriter and Songwriter/Artist, as well as the Top 10 “Songs I Wish I Had Written,” on Oct. 5 at the Nashville Songwriters Hall of Fame Dinner and Induction Ceremony at the Music City Center.